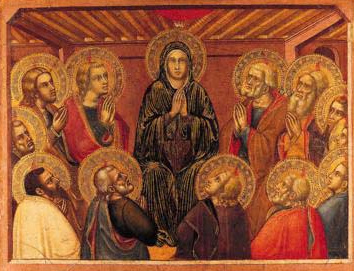 b Modena; fl 1361–83). Italian painter. Although a native of Modena (Emilia), he was first recorded as a Genoese citizen, hiring Tuscan assistants in 1361 and 1362. 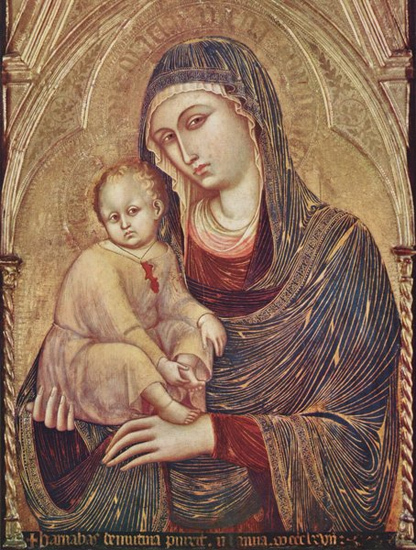 He was paid for paintings for the Palazzo Ducale, Genoa, in 1364; a Virgin and Child (1367; Frankfurt am Main, Städel. Kstinst. ), signed in Janua, is thought to be by him. 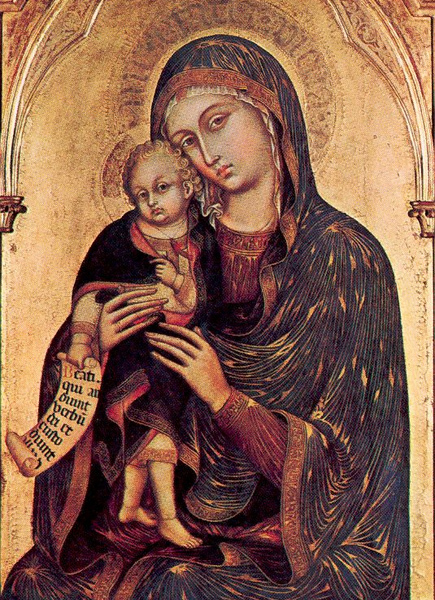 His earliest certain painting is the damaged polyptych of the Virgin and Child with Saints (Genoa, Pal. Bianco), signed, unlike later works, in capital letters. Its frame awkwardly combines the light Gothic arcading of Tuscan polyptychs with the continuous contour and simple gables of Emilian design. 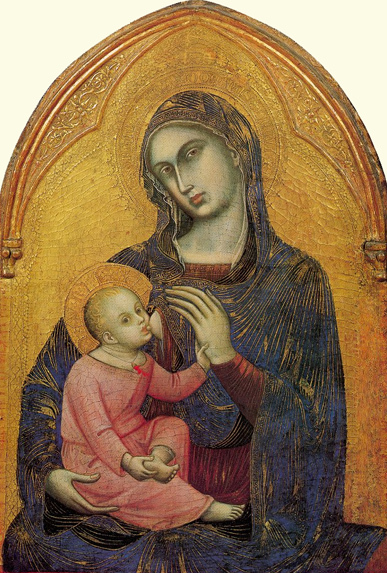 The incongruities of figure scale, the blackish undertone to the flesh painting and the small features and tall cranium of the Child all derive from Venetian painting, while the careful modelling of Mary’s eyes and puckered lips show the influence of the Lorenzetti brothers and their Sienese followers. 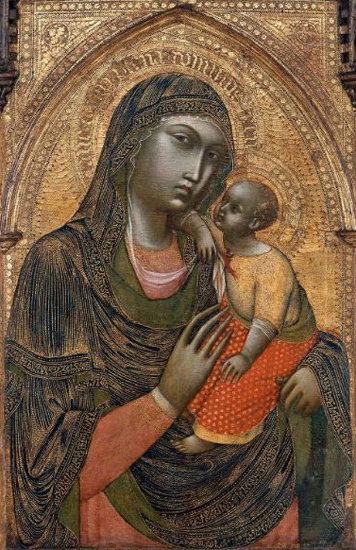 Another Virgin and Child (Boston, MA, Mus. F.A.) 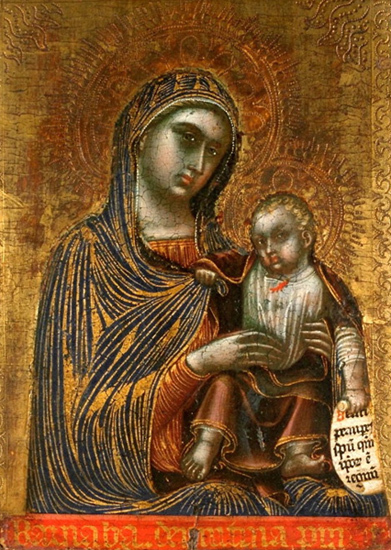 by Barnaba reflects Sienese painting in its rounded faces and gold-striated highlights on Mary’s mantle. 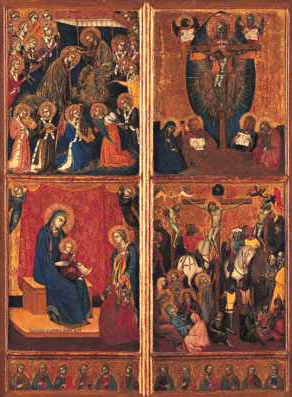 His small Virgin and Crucifixion (Modena, Gal. & Mus. 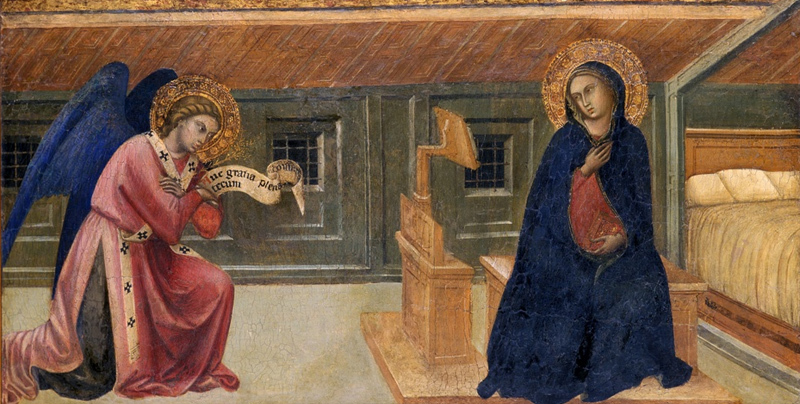 Estense) and the St Bartholomew altarpiece (Genoa, S. Bartolomeo del Fossato), with simple architectural settings, brilliant colours and delicate goldwork, are probably from the 1360s.